As information technology takes a dramatic shift from paper to digital form, federal and other governing agency are starting to mandate industry specific regulations on organizations to ensure confidentiality, privacy, retention, and traceability. At Hostik we adopt and follow their recommendation and regulations and often exceed their requirements. industry to provide appropriate administrative, physical, and technical safeguards for patient information. of administrative procedures, physical safeguards and technical measures to protect patient information while it is stored and transmitted across communication networks. and appropriate level to ensure the confidentiality, integrity, and availability of data. 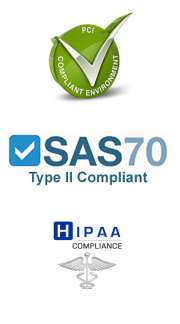 a series of administrative, physical and technical safeguards designed to protect data. of our network and routinely checks its systems for vulnerabilities to ensure that your data is safe. identifiable financial information is subject to privacy controls under GLBA.